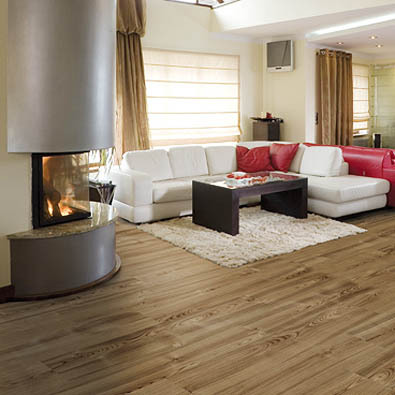 Best underlay for laminate flooring: how to make the right choice? Best underlay for laminate flooring: How to choose the best underlayment for laminate flooring? Best underlay for laminate flooring depends on several factors that you have to take into account when choosing the best underlayment for laminate flooring. The first one is the subfloor onto which you are installing your laminate, the second is the type of laminate that you chose (some laminate floors have an attached underlay) and last what benefits do you need from an underlay? It is important to know what kind of surface you are installing your laminate onto, to correctly choose the best underlay for laminate flooring. The best underlay for laminate flooring on concrete isn’t the same as the best underlay for laminate flooring on wood, and some laminate flooring already has an attached underlay and may not need additional underlayment. Some types of underlayment have noise reduction, moisture and heat retention properties (however, these can be more expensive), so this is an important consideration as well. What is the best underlay for laminate flooring on concrete? The best underlay for laminate flooring on concrete is made of either two layers or a 2 in 1 type of underlayment, but the important thing is that the best underlayment for laminate flooring on concrete has both a vapor barrier and a foam cushion. The vapor barrier is usually achieved by using polyethylene film. Be sure that you know what type of subfloor you have, as well as what type of underlayment is advised when choosing the best underlayment for laminate flooring on concrete. What is the best underlay for laminate flooring on wood? Unlike the best underlay for laminate flooring on concrete, the best underlay for laminate flooring on wooden or plywood subfloors should not have a vapor barrier. Wood is a natural material that needs to breathe, so applying polyethylene films isn’t a good idea, since it can cause moisture retention and mold. When choosing the best underlay for laminate flooring on concrete or wood, you should consult an expert that will help you choose the right type. Don’t forget to consider other benefits that you might want from a subfloor. 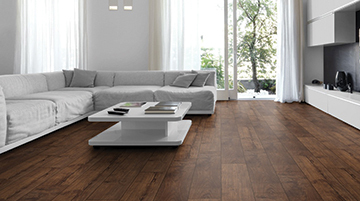 Our experts at Floor Experts will gladly advise you on choosing the best underlay for laminate flooring that fits your specific needs and wishes. Visit our website for more information.